Track 7:Final pleas and the verdict: Everyone is guilty! 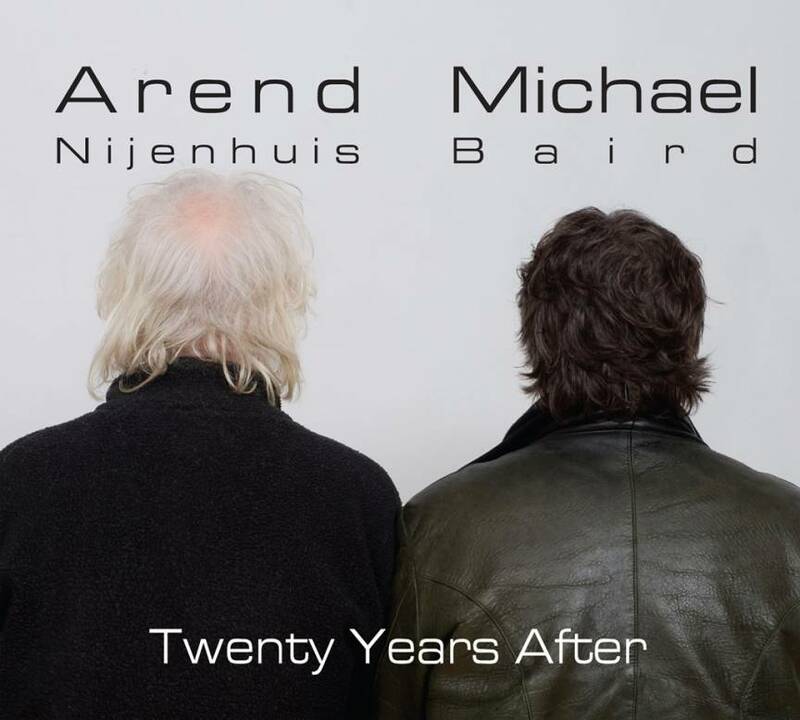 A stunning duet of improvised music by the legendary recluse Arend Nijenhuis playing synthesizer and Michael Baird on drumset, recorded in 1988, followed by another duet with Arend on piano and Michael on assorted percussion recorded early in 2009 – twenty years (and a few months) after the '88 recording. From the first note to the last, they are engaged in a true dialogue, that is intense and uncompromising. Total time: 43'21". 6 page digipac. Tracklist: Recorded 1988: 1. Has A Crime Been Committed? Where Are The Victims? 2. A Judge Is Appointed, But What Is The Charge?. 3. The Jury Meet For The First Time. 4. Swing In The Courthouse, 5. Some Evidence And Some Doubt, 6. The Notion Of Forgiveness, 7. Final Pleas And The Verdict: Everyone Is Guilty! Recorded 2009: 8. Escape Plans, 9. The Wondrous World Of Release, 10. Waiting For Some Transport, 11. Parlez-vous Français? 12. Little Red Riding Hood lives. De Volkskrant 2009 (NL): "Nijenhuis crëerde op de synthesizer een eigen geluid, heel menselijk en expressief. Ook zijn melodische ideëen zijn uniek. Het duo swingt enorm. De intieme sfeer, de creativiteit en de humor zijn hartverwarmend." "Nijenhuis created an own sound on the synthesizer, very human and expressive. His melodic ideas are also unique. The duo really swings. The intimate atmosphere, the creativity and the humour are heartwarming." Jazzflits 2009 (NL): "Arend Nijenhuis is één van Nederlands best bewaarde geheimen. Op zoek naar onbekende klanken, zonder enig effektbejag, en volkomen cliché-vrij. Baird hanteert vooral zijn brushes, en toucheert er voornamelijk zijn trommels mee. Het levert geïnspireerde, frisse muzikale conversaties op. De opnamen zijn zo helder en direkt, dat het lijkt alsof beide heren in je eigen huiskamer aan het musiceren zijn." "Arend Nijenhuis is one of Holland's best kept secrets. Searching for unknown sounds, without trying to dazzle, and completely free of clichés. Baird mostly plays with brushes, and more often than not merely touches his drums with them. This results in inspired, refreshing musical conversations. The recordings are so clear and direct, that it is as if the two of them are playing in your own living room."